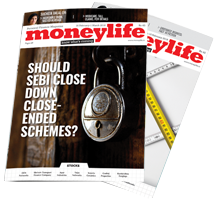 More evidence piles up every day about how the cash-strapped Infrastructure Leasing & Financial Services (IL&FS) was misusing many of its 347 group entities, which formed an opaque and complex web, to move money around and put off the inevitable for nearly two years before the eventual default. The Uday Kotak-led board needs to commission a forensic and compliance audit of shady entities of the IL&FS group to get a full picture of its dubious activities. Until then, we will keep finding individual examples of egregious wrongdoing. 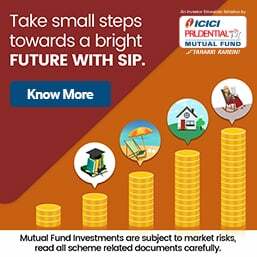 The manipulation, exploitation and eventual acquisition of Kanak Resource Management Limited (KRML) has unearthed a raft of shady lending and borrowing operations that expose how IL&FS was moving money around in group companies, to ward off a default for at least two years, before founder-chairman Ravi Parthasarathy stepped down in July 2018. KRML was set up in 2007 as a joint venture (JV) between IL&FS Environmental Infrastructure and Services Limited (IEISL, which was formerly known as IL&FS Waste Management & Urban Services Limited) and Centre for Development Communication (CDC)—a registered trust run by Dr Vivek Agrawal for the purpose of collecting, segregating, trading and transporting municipal solid waste. IEISL controlled 94.71% of the equity and CDC held 5.29% stake. CDC claims to run waste management projects in Nagpur, Jaipur and Gwalior. Of these, the Nagpur project has been mired in controversy since 2014. Allegations against it range from having collected Rs30 crore more than was due to it from the municipal corporation through a nexus with key municipal employees. A fact-finding committee “found gross violation of the terms and conditions and huge misappropriation.” KRML has denied these charges and even gone to court to fight the recovery action by the municipal corporation. Its 10-year contract with the municipality is, finally, set to end in early 2019. There is very little publicly available information about its work in Nagpur or elsewhere. KRML’s website boasts of how it was “the first and only business arrangement of its kind” of a corporate entity and trust to join hands to align “the business interest of the corporate with that of the development initiatives of the Trust.” It didn’t work that way. Although Dr Agrawal, a physician and waste management expert, was appointed managing director (MD) and chief executive officer (CEO) in 2007, they fell out in 2015. This was mainly over the misuse of funds borrowed in KRML’s name and over the manner in which KRML was billing Nagpur Municipal Corporation, says Dr Agrawal. On the face of it, the obvious answer to the situation would be for IEISL, the 94% partner, to amicably buy out CDC that held 5.9% of the equity. But typical of the way IL&FS functioned, it preferred to harass Dr Agrawal and deny him even his consultancy fees. But this time around, David seems to have scored over Goliath. Dr Agrawal dragged KRML to the National Company Law Tribunal (NCLT) and obtained an interim order in his favour on 25 September 2017. Once this happened, it was forced to follow a resolution process laid down by the Insolvency and Bankruptcy Code (IBC), which involved dubious manipulation to game the process. This is what has exposed how KRML was used as a conduit for moving money around within the group. KRML’s main occupation in the past few years was to borrow and to repay large sums of money to IL&FS group entities in the form of short-term loans. 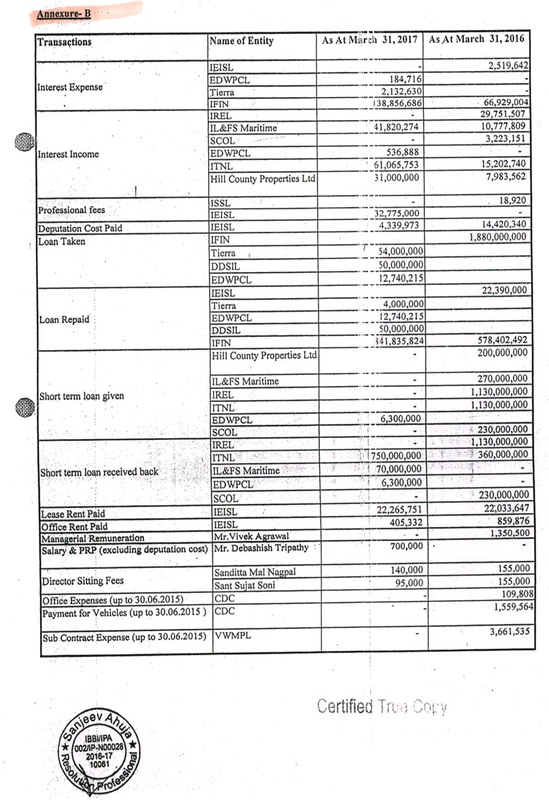 Page after page of related-party transactions conducted by the group were emailed to me anonymously. This frenetic borrowing and repayment activity happened mainly in FY15-16 and FY16-17. In FY15-16, over Rs350 crore was borrowed in multiple short- term transactions and also repaid; in FY16-17, the amount was over Rs90 crore. Curiously, while KRML was furiously borrowing and repaying money to various IL&FS group entities, it also borrowed from Tata Motors Finance Ltd, Yes Bank and ORIX Leasing and Financial Services India Ltd (Orix has a 23.5% stake in the IL&FS holding company). The due diligence done by these lenders before extending loans is also questionable, as is their quick support for the machinations by the resolution professional (RP) appointed under the bankruptcy process. Rajendra Ganatra, a former banker and now a resolution expert, helped us analyse how the IBC process was manipulated and vitiated to acquire control of KRML. 1. Through an EGM (extraordinary general body meeting) on 30 November 2015, KRML’s borrowing capacity was raised from Rs50 crore to Rs250 crore. KRML’s paid-up capital is only Rs12.86 crore and there is no justification in the EGM minutes for the five-fold increase in borrowing power. 2. Immediately thereafter, KRML got a loan of Rs183-crore from ILFS Financial Services (IFIN) which is 13 times its paid-up capital. And, yet, the repayment period is just 11 months (later extended by six months). Clearly, the intention was to use KRML for some shady manipulation. 3. This is just one of many such transactions. The sheer number of borrowing and lending transactions with related entities in FY15-16 merits a full and separate investigation. But the independent auditor has submitted a clean audit report for the year ended 31 March 2017. In just one year, KRML had borrowed from, or borrowed as well as repaid money from, IL&FS Transportation Networks Ltd (ITNL), IL&FS Renewable Energy Ltd (IREL), Sabarmati Capital One Ltd, IFIN, IREL, SCOL, Hill County Properties, IL&FS Environmental and IL&FS Maritime Infrastructure Co Ltd, etc. 4. Dr Agrawal was not paid his consultancy fees of Rs4.5 lakh per month after May 2016. This assumes that the company had cash flow problems since then. Dr Agrawal filed for resolution under IBC in May 2017 in which he proposed Deepak Arora as interim resolution professional (IRP) which was accepted. By November 2017, the committee of creditors (COC) wanted Mr Arora replaced and appointed Sanjeev Ahuja, this was done in November 2017. 5. The creditors stopped Mr Arora from appointing valuers and delayed valuation for 105 days (from 25 September 2017 to 8 January 2018), although bankruptcy guidelines require this to be done in 30 days. Clearly, the creditors were not really working in the best interest of KRML. 6. KRML’s board was suspended on 25 September 2017. Yet, the company pushed through an illegal annual general meeting (AGM) on 27 September 2017, without notifying its minority partner CDC. In fact, KRML has held AGMs without informing CDC for three years, alleges Dr Agrawal. 7. KRML received expression of interest from three companies—Ramky Group, Health Care Energy Pvt Ltd and IEISL. The first two, who are also ‘operational creditors’, were not provided all the information they sought, in order to stymie their bids. They were also given just eight days to submit their bids. 8. Mr Ganatra says, “The RP has erred in allowing IEISL, which holds 94.71% in the company, to submit Resolution Plan u/s 29 of the IBC. The COC minutes do not carry any affirmative statement that IFISL meets the criteria set out u/s 29A of the IBC and Corporate Insolvency Resolution Process (CIRP) Regulations 38(3). IEISL, obviously, fails the Section 29A criteria, after the November 2017 amendment to the IBC, which bars connected persons to bid for a company. 9. Mr Ganatra points out that the resolution plan of Rs479.09 lakh comprised CIRP cost of Rs60 lakh, payment to operational creditors & related entities of Rs220.09 lakh, and acquisition of shares of corporate debtor for Rs217 lakh. The plan, he says, does not provide a clear picture of the means of finance, or how the secured debt will be serviced or money distributed to various claimants. 10. It also rejected claims by Dr Agrawal and ‘his related parties’ to the tune of Rs12 crore as being ‘contentions/contentious’. This has been challenged by them and the matter is expected to come up for hearing on 16 November 2018. 11. The committee of creditors unanimously approved the bid of IEISL. The three creditors include Orix Leasing, which is hardly an unrelated financial creditor, given its large stake in IL&FS. All this only smacks of a manipulated resolution to benefit IL&FS. 12. These operational creditors have challenged the rejection of their claims and a hearing had been scheduled for 13 September 2018. Now that IL&FS itself has a new board, it will be interesting to see how the KRML dues are serviced. Will SFIO (serious fraud investigation office) or the Mr Kotak-led board of directors investigate what IL&FS was doing with the money? The Rapid metro would have better ridership provided it was extended to Udyog Vihar. Everyone except the Haryana government knew that the project was going to fail as people in DLF areas rarely use public transport. 2ndly, it is just another example of the loot of public money. It is not only misuse of funds it is manipulation of every authority that matters and abuse of legal provisions. Every one involved, IBC officials, bankers, executives of IL &FS and its subsidiaries, etc should be brought to book then only the governance can be improved. Why ROC did not raise doubts when representative of other shareholder is not there in the filing of board meetings and decisions. Very serious and wilful misuse of bank loans, and compromising insolvency and bankruptcy code. The kingpin in IL&FS Financial Services whose whole time directors must go to jail. Debt-ridden Infrastructure Leasing & Financial Services Ltd (IL&FS) has decided to sell its stake in IL&FS Securities Services (ISSL) and in ISSL Settlement & Transaction Services (ISTSL). IL&FS said its new board of directors has decided to solicit expressions of interest (EOIs) to assess the interest for the sale. Separately, IndusInd Bank, which has earlier agreed to buy ISSL decided to terminate the agreement citing non-fulfilment of conditions. The previous board of IL&FS had decided to sell ISSL to IndusInd Bank which had acquired all necessary clearances as well. However, citing non-fulfilment of certain conditions, IndusInd Bank on Tuesday decided to terminate its agreement signed in June 2018. In a regulatory filing, the lender says, "The share purchase agreement (SPA) stands terminated as all the conditions precedent were not satisfied within the stipulated time period. 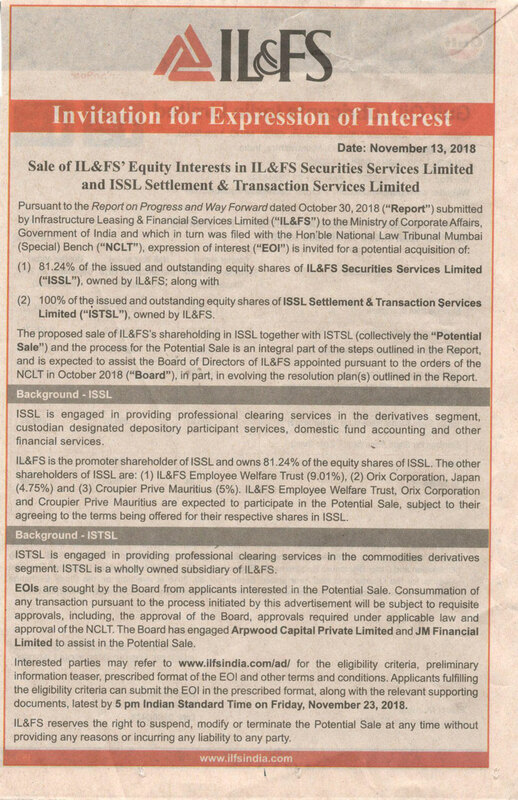 We understand that the newly constituted board of directors of IL&FS has decided to initiate a new process for the sale of its equity interests in ISSL." IL&FS Securities Services is a clearing member in equity and other derivatives along with ISSL Settlement & Transaction Services which provides clearing services in commodities derivatives segment. In a statement, IL&FS says, "The Board is cognizant that these steps are required to advance the process for putting together resolution plans for the IL&FS group, based on market interest and price discovery for various assets. Any binding transaction for the sale of assets, as well as the resulting resolution plans, will be subject to requisite approvals, including the national company law tribunal (NCLT) before the transactions are implemented." Set up in July 2006, IL&FS Securities Services, is a capital markets intermediary for professional clearing, depository and custodial services. It services, retail and institutional clients, include over 1,000 brokers, foreign portfolio investors (FPIs) and foreign institutional investors (FIIs).